Our agency was developed in 1885 by the Dickie family. After three generations, it was purchased by my father, Ken Rogers in 1976 and changed to K.W. 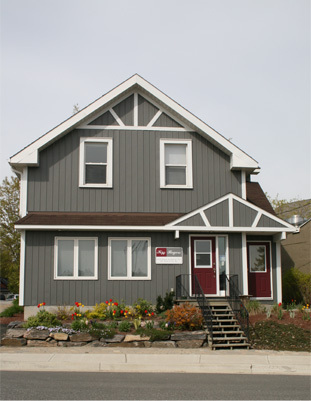 Rogers Insurance Brokers Inc.
My mom, Dianne joined the firm in 1980 as a part-time bookkeeper but soon thereafter became a fully licensed broker. After graduating high school and being in the workforce for a year, I joined the agency in 1990. Several years later, I am now the Rogers second generation owner and my parents are happily retired. Personal customer service is an integral part of any successful business and is my top priority. Thank you for visiting. I look forward to meeting you.